Internment: The imprisonment or confinement of people without trial as individuals have not been charged with a crime. Often occurs during wartime or for political reasons and affects large groups of people. The discussion of wartime internment in Canada is not exactly a popular topic. While I have touched upon the subject of the internment of Eastern European-Canadians in the past, I wanted to revisit the issue and expand upon it by looking at the experience of those interned in Canada during World War II. What were the major similarities and what were the differences? Click here for a full list, complete with opening and closing dates. To recap, the internment was initially sparked by World War I and lasted from 1914 to 1920. It began with the first implementation of the War Measures Act. The outbreak of the Great War and hostilities with Austria-Hungary led to heightened paranoia and xenophobia across Canada. As a result, Ukrainians, Germans, Bulgarians, Turks, and other Eastern European immigrants were caught in the crossfire. In the end, around 80,000 were registered as enemy aliens* and over 9,600** Canadian citizens were detained and forcibly relocated to one of twenty-four concentration camps across the country. * Enemy Alien: Any citizen of any foreign nation or government with which a domestic nation or government is in conflict with. During both WW1 and WW2 in Canada, regardless if an individual was officially a Canadian citizen (born or naturalized), they were still grouped under the term and therefore subject to the War Measure Act. ** Although the number 8,600 appears frequently in various sources, this number is disputed. Dr. Dieter K. Buse places the number at 9,600 detainees, stating there was an adding error in the original director’s report. As you can imagine life in a Canadian internment camp was pretty miserable. Upon detainment, valuables and money were confiscated. Internees were divided by gender, ethnicity, and class and then forced into hard labour. 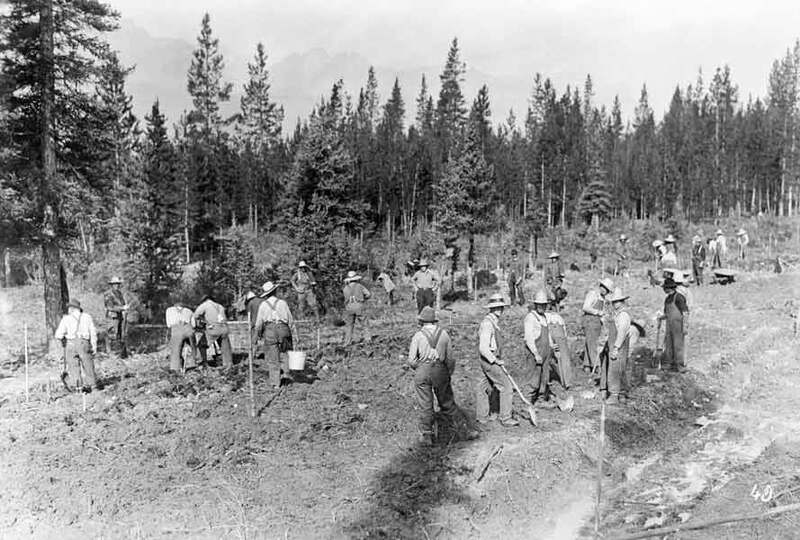 They worked in the logging industry, steel mills, mines, and their labour built some of western Canada’s national parks like Banff, Jasper, Mount Revelstoke, and Yoho. Although most survived their ordeal, due to the terrible living conditions the leading cause of death was disease. This was followed by work injuries, suicide, and six failed escape attempts, (guards were ordered to shoot escapees). A total of 107 internees died. The average length of time for internment was 1.5 years. 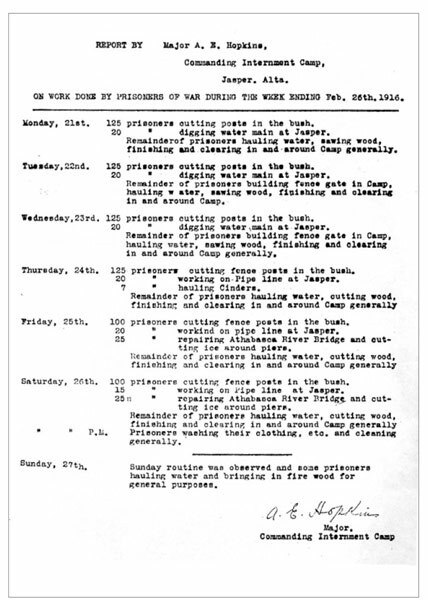 Feb 26, 1916 Report on Internment Activities in Jasper, Alberta. Notice to Japanese-Canadians about the federal government’s internment order issued on January 14, 1942. Please click the image for a larger resolution of ‘Japanese Canadian Relocation Sites.’ You will notice that the camps are less spread out than they were in 1914. This is because 95% of Japanese-Canadians resided in British Columbia, hence the cluster of camps in the west. 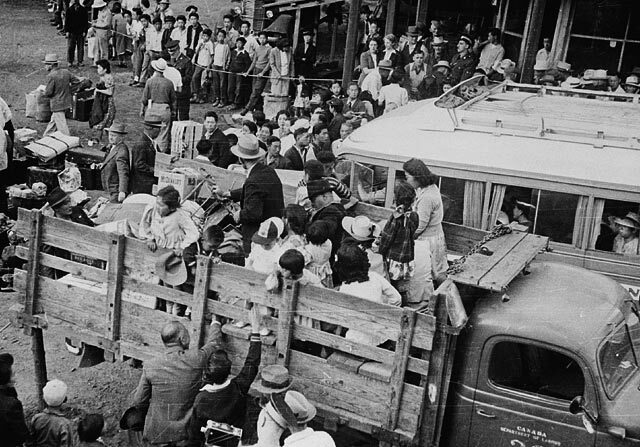 Japanese-Canadian internment did not begin with the outbreak of World War II. Rather, it was sparked by the Japanese invasion of Hong Kong and Malaya and their attack on Pearl Harbor in 1941. This internment operation also lasted beyond the war years as it came to an end in 1949. Wartime paranoia, namely the fear that Japanese-Canadians would lead the way for an invasion of British Columbia by Japan), played a role, even though both the Royal Canadian Mounted Police and the Department of National Defence had no evidence of such a plot. The real culprit behind the reintroduction of internment operations was longstanding racism towards Japanese immigrants. For almost a century, they had been denied the right to vote, were barred from many professions, and they were paid lower wages in the jobs they were allowed to hold. Around 22,000 individuals were detained and relocated, with 75% of them being official Canadian citizens. To fund the internment operation, just like before the government took possession of property, money, and belongings. 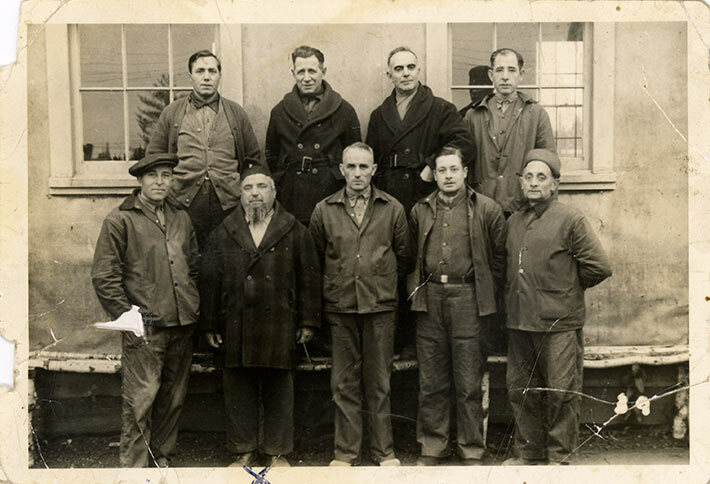 Japanese men had two choices: either remain with their families and work on prairie farms or move to isolated work camps where conditions reportedly were better. Most chose to stay with their families. Working on a farm was akin to slave-labour, internees either lived in tiny shacks with no electricity or water or in unsanitary stables and barns. Several families would reside in a single dwelling; privacy was nonexistent. Labourers spent their days in fields picking vegetables, (often sugar beets). 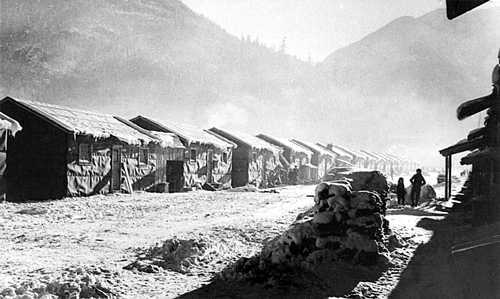 Some camps did try to create a resemblance of normal life; children went to school, labourers were paid tiny wages, and they were allowed to operate shops within the camps. That being said, conditions in some of these camps got so bad that the Red Cross intervened and shipped food to starving families. Wartime internment camp for Japanese Canadians, Tashme, ca. 1944. By 1944, despite having two years of camps with no invasion to speak of whatsoever, certain British Colombian politicians were still unhappy that there were Japanese on Canadian soil. They wanted them gone. Ian Mackenzie, MP, famously proclaimed, “Let our slogan be for British Columbia: ‘No Japs from the Rockies to the seas. '” That year deportations got underway and ultimately around 4,000 left Canada forever. What about German and Italian-Canadians? Can you believe that by October 1944 there nearly 34,000 military prisoners held in Canada? The bulk of this came largely from an agreement between Great Britain and Canada in June 1940. Fearing a German invasion, we accepted 4,000 civilian internees and 3,000 German prisoners of war and housed them in our camps across the country. As for German-Canadians and Italian-Canadians, they were part of the remainder too as they were considered enemy aliens under the War Measure Act. 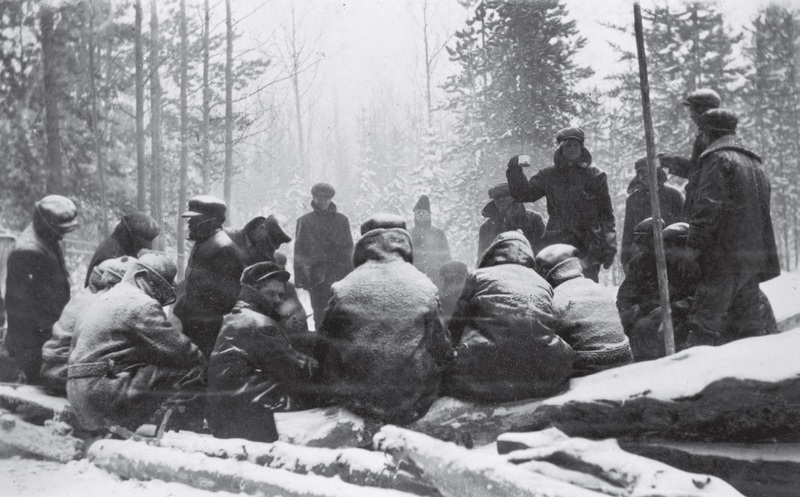 Around 600 Italian-Canadians* were interned in one of three camps, (Kananaskis in Alberta, Petawawa in Ontario, and Fredericton in New Brunswick). Some were released after a few months, others remained there for up to five years. 837 German-Canadians were interned during WW2; 2,000 were imprisoned during WW1. There is speculation that the memory of WW1 made German-Canadians disguise their nationalities and they pretended to be Dutch, Scandinavian, or Russian to avoid being relocated. However, the more likely reason that so few were interned is because the government practiced selective internment for German and Italian-Canadians. For example, German-Canadians who were imprisoned had been associated with the Nazi Party of Canada. With Japanese-Canadians, internment happened regardless if you were “suspicious” or not. * If you are interested in learning more about the Italian-Canadian experience during WW2, check out this interactive website. Prime Minister Brian Mulroney signs formal apology towards Japanese-Canadians interned during WW2 (1988). What came in the decades after for both was quite similar. Ottawa had both the camps across the country that housed internees and official government records documenting the operations destroyed. Most internees did not get their money, valuables, or property returned to them in full postwar. Nor where they paid for loss wages. It was not until the 1980s that any sort of redress began to happen. In 1988, the Canadian government under Prime Minister Brian Mulroney delivered a formal apology and a multi-million dollar compensation package to Japanese-Canadians effected by WW2 internment. Surviving former internees received $21,000 each and those who were deported had their Canadian citizenship reinstated. In addition, $12 million was awarded to the National Association of Japanese Canadians and $24 million was allocated towards the creation of the Canadian Race Relations Foundation to promote human rights and anti-racism. German and Italian-Canadians internees have not been compensated. In 2005, WW1 internment was formally acknowledged by the Canadian government and three years later a $10 million Canadian First World War Internment Recognition Fund was established for commemoration groups. There was no formal compensation package for WW1 internees because the last known survivor, Mary Hancharuk, who had been born at the Spirit Lake camp, died in 2008. Omatsu, Maryka, Bittersweet Passage: Redress and the Japanese Canadian Experience. Toronto: Between the Lines, (1992). Great post. People usually always think of the US when it comes to the internment camps. These people deserve remembering too. Thank you. I wholeheartedly agree! My great-grandparents were immigrants from Galicia (present day Poland/Ukraine) living in Montreal around the First World War and I always wonder if they had any issues with discrimination or internment. I’ve heard no family stories about it but it’s something I think about! Also it’s really surprising that relatively few German-Canadians were interned in WW2, considering Germany was such a huge threat alongside Japan. I was also kind of shocked when I saw how low the number was for German-Canadian internees. It’s what prompted me to find out where the rest of the numbers came from. You’d think they would be public enemy number one starting in 1939. So…Was the Nazi concentration camps in response to Canadian internment camps?